It’s been a pretty frustrating winter and early spring with regard to Sunday evening observatory sessions, averaging out at just over one a month... "poor". Still, we have managed to get up in the last few weeks, occasions coinciding with the appearance of a first quarter moon in the sky. 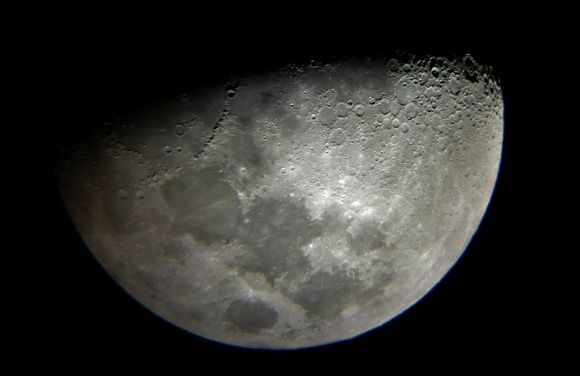 Mark managed to take a few photos through the eyepiece using just a Lumix compact camera hand held against the eyepiece. Who needs sophisticated equipment? 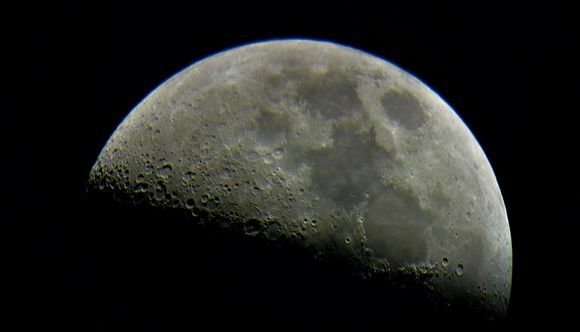 The Moon, taken at Whitby Observatory by Mark Dawson.